Friends, it’s time for a dose of reality and some tough love. First of all, I am sick and tired of all the bruhaha over NFL players kneeling, standing, not standing, staying in the tunnel, staying in the locker room, or whatever they choose to do. My social media feeds have been filled with nothing but reactions for and against the actions that NFL players, coaches, and owners took or did not take in response to President Trump’s remarks calling for the firing of NFL players who protest during the national anthem (the fact that he used language that I would rather he didnt is another story). There has been great passion displayed by people arguing on both sides of the issue, a passion that I admire and find very commendable. I just wish we would show this much passion about things that actually matter. One thing I have noticed during my existence in this world is that we tend to display lots of passion about sports, politics, and which celebrity is pregnant this week. However, that same passion is rarely placed where it is actually needed. Our priorities are all messed up. We care about things that have absolutely no bearing on the greater good of the world and care little to none about suffering, oppression, and the other things that we really should be so passionate about. While we (collectively) have been pouring our energy into what an athlete does or does not do during the national anthem, here’s what I did not hear much about. The entire island of Puerto Rico – very much part of the United States as they are a territory – is without electricity or communication. Most of their houses have been severely damaged or destroyed. Their supply lines are all but completely shut off. They are in desperate need of aid and it may take years for the Puerto Ricans to recover. The damage has been described as “apocalyptic.” On top of all of that, a dam was heavily damaged and is likely to completely fail. A mass shooting in Antioch, Tennessee at Burnette Chapel Church of Christ killed one and wounded six others, mostly older people who had gathered for worship. The local media reports say that if an usher had not intervened to fight the shooter, the situation could have been much worse. One of the wounded is their pastor, Rev. Joey Spann, and he remains in critical condition. It’s unknown what the motive of the shooting is. People in Florida, Texas, and other places impacted by recent hurricanes are continuing to recover from the damage sustained during those storms. People are still living in shelters and many have no homes to go to. Homelessness still exists, children are still going hungry, people are still addicted to drugs and alcohol, and families are still being torn apart due to these addictions and much more. As long as these things are in existence, I simply don’t have time to worry about what someone does or does not do when the national anthem is played. And, frankly, if you’re a Christian… Neither do you. The Old and New Testaments are rife with teachings about caring for the poor, seeking justice for the oppressed, loving our neighbors, and being kind but it seems like we ignore those things. We expend so much time and energy on petty political differences when we could be putting our energy into much more productive endeavors. If we used that energy toward ending hunger and homelessness, those issues would be gone tomorrow. If we used all that energy to working to end drug and alcohol addiction, the number of lives changed for the better would be astounding. If you are a Christian and spend more time behind a keyboard or holding a smartphone using it to argue political ideology than you do working on things that break God’s heart, you’re not in line with the teachings of Jesus (I include myself in this rebuke). Does that sting? Good, it should. We need to do better by using our passion and energy toward things that actually matter. In ten years, I can promise you that what an athlete or a team choose to do during the national anthem will not have one bit of bearing on anyone’s’ life. In ten years, we likely won’t even remember that this was a debate. But in ten years, someone could have a better life or even be alive in the first place because you put the phone down and invested in your energy into something – or someone – that actually matters. And if you’re a Christian, that’s your duty as a disciple. One of the greatest things I have experienced in my career as a paramedic has been that I have been able to have some great partners. I’ve had a few that I would rather forget and many who I am grateful for and will never forget. One of those great partners was Brother Mike. Brother Mike is an ordained Southern Baptist pastor who serves a small church near my hometown. At the time he was only drawing a part time salary so he worked at the ambulance service on my shift to pay his bills. As we were both pastors we were regularly put together. We always seemed to have unique opportunities to minister to many people we would come into contact with and we also got to have many great conversations about our faith, about God himself and about the Bible. As he is Baptist and I’m Methodist, you can imagine that while we did agree on many things we had some interesting conversations about the views we held differently. One such conversation happened when we were on our way back to town from a transfer We were talking about scripture and how to best understand it. I had just taken a workshop on the various ways we can look at the bible and one of the things the presenter covered heavily was how John Wesley used scripture itself, tradition, reason, and experience to determine if what he was hearing, reading, or believing was true. Brother Mike listened to me and said, “Well, that sounds nice but I’ve always been of the opinion that we should just take the Bible as it is, unvarnished, and as God’s word. He said it, I believe it, that settles it.” This was not the first time I had heard this expression. Being in Mississippi and growing up around a lot of Baptists, one heard this saying quite a bit. In light of what I had been learning through my own study of how to understand scripture, this was the first occasion where I can remember truly pondering the meaning of this saying. During this series on Half Truths, we have been looking at sayings that sound biblical but really aren’t, at least not in the way we say them. I acknowledge that with you knowing how I have treated the other sayings you may be growing a little uncomfortable right now, perhaps because you think that perhaps I’m going to make a case for why we can’t trust the Bible. I assure you, that’s not what I’m out to do. But what I do want to challenge you to do today is to think about how you have understood scripture and perhaps to consider a new way to think about what we read and hear about. The point that I want to make is this: We are not meant to check our brains at the church door and just take things at face value. It’s ok to question and to wrestle with things we read in scripture. God gave us brains and I believe we should use them to our fullest ability, including when we read the Bible. To simply take the Bible at face value and chalk it up to “God said it, I believe it, that settles it” shows a very simplistic view of the Bible. We don’t truly get the message, we simply get a few grapes off the vine and call it good. Perhaps you were raised in a similar fashion as me: If something was in the Bible, you better not dare question it. I can remember when I was growing up that I would ask someone what something in the Bible meant or why it was there and more often than not I was simply told that it’s a sin to questions something we read in the Bible because it’s God’s word. I certainly believe that the Bible is God’s inspired word. But I don’t believe this means that things we see within the pages of these books are not above being questioned, pondered and wrestled with. Think of exercise: If you want bigger muscles, you have to exercise them. When you lift weights you are pushing against a force putting resistence against your body. By pushing against this resistance you’re growing stronger and can exercise with more and more weight. The next thing you know, you’re in a great shape and can even keep going. The same is true when we flex our spiritual muscles and push against the resistance of questions and doubt. When we wrestle with the things in the Bible that we may not understand or perhaps even make us uncomfortable, we are opening ourselves to truly hearing God’s voice and the message he wants us to receive from his word. As we continue to wrestle, to pray, ponder, and study we grow stronger in our faith and in our knowledge of God’s will and nature. It’s ok to question and wrestle. Doing such exercise is how we get in better shape. The short passage I read out of 1 Peter 2 is one of those passages that is often wrestled with. If we take literally and completely at face value what we read in Peter’s letter we may believe that God wants us to bow down and kowtow to all of our earthly leaders no matter what, period, full stop. We can think that it’s our God-decreed responsibility to, without question, follow the commands of any earthly leader no matter who this person is or what they ask us to do. But what if the leader is a dictator like Kim Jong Un of North Korea, who starves his people to death while getting rich off of their backs. His latest shenanigans involve his education minister who fell asleep during a meeting of the Communist leadership of North Korea. Kim Jong Un was so incensed by this transgression that he executed two high level North Korean officials… with a large caliber anti-aircraft gun. If we take 1 Peter 2 literally, are we to believe that this is someone worthy of giving our undying obedience to? The simple answer is, of course not! No tyrant should ever be given this kind of affection and God certainly wouldn’t ordain such actions. Such is the danger of taking such passages literally at face value without regard to its true meaning. Taking 1 Peter 2 literally has several dangers, including that we could in theory use it to force someone to bow down to tyranny or, perhaps even worse, to express a notion that God condones such dictators and their actions. Yes, that people like Kim Jong Un, Hitler, and all of the worst dictators throughout history were put in their positions by God and that he orchestrated their actions. This is, of course, untrue and can cast God in a poor and false light. To be clear: God does not do these things. Such is not God’s nature! We are not people called to check our brains at the church house door and leave them there. Christians are called to use our intellect to figure these things out and, yes, this even applies to when we come to worship and when we study the Bible. We have all sorts of tools for doing this, from commentaries to study Bibles and so much more. When I prepare for a sermon I not only study over the scripture itself extensively but I also take time to pray over it to ask God’s revelation for it. I also consult multiple commentaries, dictionaries, handbooks, and often look at Greek or Hebrew interlinear Bibles, which show the English and original languages in order to flesh it all out. My sermons may seem long but believe it or not they only average about 20 minutes or so. In order to prepare for that 20 minute sermon, I spend many hours per week in study. If we were even intended to look at scripture through the lens of “God said it, I believe it, that settles it,” then me spending all that time in prayer, preparation and writing in order to be standing up here preaching about God’s word would be a waste of time for both me and you. All we would have to do is read our Bibles and just let that be that. It’s really wrestling with scripture and trying to figure out the true message that draws us closer to God. Grappling and meditating on God’s word is the stuff that helps us to grow in our faith and in our understanding about God. It’s also in the course of this exercise that we become better equipped as disciples who will go from this place to make other disciples. If we want to believe in terms of scripture that God said it then we totally remove the human equation from scripture. In other words, we remove the humanity of the authors who wrote down these words under divine inspiration. We have to remember that these were human beings who were inspired by God to write and to tell of things they were feeling in their very souls. To believe that this is God always speaking through them is to believe that God was dictating a message to robotic secretaries in this world and I just do not see how that could be true. Scripture itself does not indicate that this is the case. There are certainly a lot of places where the writer indicates that the words are from God but the vast majority of the time the authors make it clear that they are writing their own thoughts and ideas about what God’s will is for mankind. Even Paul never claimed that he and God were of one mind, Paul in several places very plainly states that the words written are his and his alone. To state that “God said it” means we totally remove humanity from scripture. Yes, God inspired scripture. God is sometimes quoted in scripture. But did God dictate every word of the Bible? Not very likely. To simply say that “God said it” when it comes to any given piece of scripture just is not usually true and oversimplifies the message that scripture contains. A similar thing happens when we say “That settles it.” We oversimplify the work that it takes to really get at the heart of what scripture is saying to us. It takes away the important work which has been done in translating from the original languages and trying to figure out what the author intended for the reader to understand. Let’s take a look at John 3:16, which I’m sure every single one of us can at least paraphrase. In the verse where perish is rendered, the Greek word is apollumi and it can indeed mean perish. But it can also mean to die, to be destroyed, to be lost, killed, or ruined. Each one of those possibilities can make the message of the verse slightly different depending on which translation one decides is most appropriate given the context and other factors. Even Jesus at times did not agree with the traditional rendering of texts in the ancient Jewish tradition. How often in the gospels is it recorded him saying something like, “You have heard it said… But I tell you…?” Jesus was doing a type of push back against traditional interpretation called midrash, where rabbis would attempt to explain what a text was talking about. As the apostles studied and debated about the meaning of scripture, they also realized that the authors of these writings were, at the end of the day, humans. Even under the inspiration of God they were not immune from bringing their own experiences and circumstances into their writings. If we were in the room with them and simply said, “Well God said it, I believe it, that settles it” they may well look at us as if we’re crazy. They simply did not subscribe to that notion. The same goes for the majority of the early church fathers. We can all sit around all day and debate how to best determine what a passage of scripture is saying and how we should apply it to our lives. Even when we disagree about these methods, I believe we can all agree on one thing. Jesus gave us the best lens through which we can weigh out what scripture is saying when he gave us the greatest commandment, to love God with all our soul, mind, body, and strength and to love our neighbors as ourselves. Does the way we interpret a passage line up to that? Does the way in which we feel we are called to apply the scripture to our way of living line up with loving God and loving our neighbor? If the answers are no then we still have some work to do. We need to get some more exercise. Let’s make a new commitment to stretch and strengthen our spiritual muscles. In the name of the Father, Son and Holy Spirit – Amen. A while back I was watching one of the TV news shows and they were polling people about things that are in the Bible. They would read something that either was or was not in the Bible and the person had to answer true if it was in the Bible and false if it was not. Out of five people the interviewer read “God helps those who help themselves” to, four answered true, indicating they believed it was in the Bible. Let’s do a show of hands: If you believe this saying is in the Bible, raise your hand… Ok, now if it’s not in the Bible, raise your hand. If you guessed that “God helps those who help themselves” is not in the Bible, you’re correct. To say that this saying is in the bible is completely false because it appears nowhere in the scriptures. It does sound kind of biblical though, doesn’t it? It’s not unusual that when we hear a saying like this and especially when it catches on and becomes popular, we like to think it has some authority behind it. This is exactly what happened with this saying. The Greek philosopher Aesop was the one who coined, “The gods help those who help themselves.” About 2300 years later, Benjamin Franklin appropriated it and changed it “God helps those who helps themselves” when he published Poor Richard’s Almanac. The expression became widely popular and eventually people began believing that it was found in scripture. Adam Hamilton gives several examples in his book Half Truths: Hamilton states when he says grace before a meal he thanks God for giving us a planet where such bounty can grow and survive, he thanks God for the farmers who grew the vegetables or raised the animals, the people who harvested and processed it, and even the truck drivers who delivered it to the store. If one of those components was not there, we would not be able to go to the store and buy our food. Because they did their part and we did ours by obtaining money with which to go buy food and actually took the time to go to the store and cooked it, we’re able to eat a delicious meal. Another example would be with employment: It’s alright to pray that God gives you guidance as to a job you should apply for. However, it’s not going to likely be very productive if you just stop there. Without building a resume, filling out applications, going to interviews, you’re going to have a hard time finding a job. God will certainly give us guidance if we ask him to but he also expects us to not just sit around and let him do all the work. We have to take some ownership of our situations and we have to take some action. Otherwise, all the prayer in the world is not going to do us any good. Prayer is certainly talking to God but it is also listening. And when we pray, we also have to be prepared to move and to act. This is God helping us. While I do not believe that God’s help comes with strings attached, I do believe that God does not call us to simply wait on him to do a miracle. As I mentioned a moment ago, Christians are not called to just simply sit and wait for God to do something, we are called to accept some responsibility for what happens to us. When Paul started the church at Thessalonika, he taught the converts there that they should trust Jesus and trust that he would return someday, possibly even soon. Paul eventually left but apparently some of the converts took Paul’s telling them to “trust Jesus” a little too literally. Eventually word reached Paul that many of them had actually quit their jobs with the idea that God would just provide for all of their needs without their needing to work. This is why Paul wrote the scripture we had above, because he wanted to be clear that trusting Jesus did not mean quitting our jobs and waiting for manna and money to appear out of the sky. In other words, Paul was wanting them to exercise their common sense. Yes, God will provide and he will send help. However, this does not free us from the responsibility of doing our part for securing our provision. We must help ourselves, at least to some extent. God did not call us to be robots who just wait for a push and a shove toward something or to be told to do something. God expects us to be able to idenity our needs and to accept his guidance for how he intends to provide for them. The man in the flood example was expecting God to perform some type of miracle which would save him from his plight. Perhaps the reason he did not accept the help that was given was because he had a misconception about how God works. Perhaps he wanted a solution to where God would come down in a cloud and restore everything to the way it was, his home, his stuff still intact. Instead, God sent help in the form of a boat and a helicopter with a rope which would mean that he would lost his stuff but still have his life. Because he did not help himself with the help offered to him, he lost his life. God’s help does not always come in the form of a big miraculous spectacle that is the lead story on CNN. Often, God’s help is found in subtle ways, often in ways that we never expected. God often uses other people in order to help us and we see this time and time again in scripture with God using people in the course of his work. The biggest example I can think of is medical providers. There are some very wonderful and well meaning believers who think that God’s healing only comes from him, that doctors and other medical professionals are not necessary because God will heal. I believe that God’s healing is done through doctors, nurses, and countless other types of medical providers. The knowledge of the human body and the know how to figure out which treatments will work or others that can be tried if one fails is nothing short of astonishing. I believe God works his healing through their hands. But in order to receive it, we have to do our part and go to that clinic or to the hospital in order to be healed. In this sense, we have to help ourselves. So far we have spent our time this morning talking about how the idea that God helps those who help themselves has some truth to it. But not I want to shift gears and talk about how this saying is untrue. To give away this part of the sermon: It’s often used to justify abuse of the poor. Our scripture from 2 Thessalonians 3 is often used to justify not helping the poor, particularly verse 10 where Paul writes, “Even while we were with you, we gave you this command: “Those unwilling to work will not get to eat.” Let’s say you’re down on your luck. You have tried all you can do. You’re starving. Your family is starving. You go to your best friend and ask for help. Instead of helping, your friend simply tells you, “No. God helps those who help themselves. And remember what Paul said about not working and not eating? That’s you.” Those of us who claim to be disciples of Jesus Christ know that this simply is not acceptable. Even in the Old Testament book of Leviticus, there was instruction for people to leave part of their fields unharvested so that the poor could glean from them for their survival. On and on in scripture we see instruction to help the poor, how the poor have a special place in God’s heart. When we apply “God helps those who help themselves” in this manner, we are shrugging off the responsibility that we have been given to care for the poor in our midst. We are called to show compassion. I recall a scene from The Help in which Yule May is talking with the family she works for and is asking for a loan of $75 so that she can send both of her twin sons to college for the upcoming school year. The lady she works for, Hilly, is particularly mean. She listens to Yule May’s request and replies like this: “As a Christian, I’m doin’ you a favor. God doesn’t give charity to those who are well and able. You need to come up with this money on your own.” Hilly had an opportunity to show compassion and to help two young men start on a path to a better life but, instead, she invoked “God helps those who help themselves” as a way of using God as justification for not helping. Later on in the movie, the main character Skeeter who has written a book based on the stories of the African American housekeepers working for Caucasian families in Jackson, Mississippi receives her royalty check. She chooses to split the money between all of the housekeepers in appreciation for their stories and for their help in writing her book. She did not have to do this but she chose to and the housekeepers were grateful to receive this blessing. God does indeed help everyone. We do bear a certain responsibility for our own lives but God will show us a way. The rub is, we have to be willing to take it. And likewise, we are called to have compassion and be a blessing to those who need a little hand every now and then. Invoking “God helps those who help themselves” to justify our own stubbornness or unwillingness to help is simply false. In this world of contrasts, do you want to be the person who trusted God to help them find a job and thus applied for jobs or do you want to be like the man who had chances to get to safety and refused because he was so sure that God was going to help in another way? Likewise, do we want to be like Hilly who had an opportunity to be a blessing and chose not to or do we want to be like Skeeter who chose to be a blessing? God does help those who help themselves but he also helps those who can’t. Perhaps he will use you in this work. May it be so in the name of the Father, Son, and Holy Spirit – amen. Earlier today I decided to take a drive and I ended up having lunch at a Mexican restaurant in Ravenna. As I was munching on my chips and quac while waiting on my actual lunch to arrive, I found yet another post about the Starbucks red cup thing. Now, like many of you, I’ve seen lots and lots of posts about people complaining about people being offended by this whole mess. But then the thought occurred to me: I’ve yet to see anyone actually complaining about the cups, nor do I even know how this whole thing got started. Off to the Google I went. And what did I find? If you’re reading this and you’re one of the people upset because Starbucks decided to remove snowflakes from their cups, you need to know that you have fallen for a scam. The whole brouhaha was begun by a Facebook and YouTube famous guy named Joshua Feuerstein (I would link his website here normally but I refuse to contribute to his clicks and page views). If his name sounds familiar, that’s because this is the same guy who tried to get a bakery to make a cake with hate speech inscribed on it. When the bakery refused, he took to social media to bash them and this ended in the owners receiving constant abuse, including death threats. He is also a conspiracy theorist who claimed that Walmart and President Obama were in cahoots to round up Christians and kill them. The evidence of this is a video which, for the reasons stated above, I refuse to link to but I watched part of it (as much as I could stand anyway) and he is pretty clear that he really does feel this way. There are also other allegations against him but I could not find anything other than hearsay about that so I will not link to my sources for that. Feel free to search it out for yourself, however. Folks, this guy has absolutely no credibility. Based on the number of videos and the fact that he seems to feed off of publicity the guy simply wants attention and we need to stop giving it to him. He certainly is not a voice for the vast majority of Christians, as I stated above that I have seen nothing from anyone who claims to actually be offended by Starbucks’ 2015 holiday cup design. Yet, the media has pounced on this and made it a story. Even Starbucks has taken advantage of this for their own purposes (draw your own conspiracies on that). In short, this is all ridiculous and not worthy of our time. Stop it, American media. Go cover some real news (but why would you do that? Y’all never do that as it is). However, I do feel that this speaks to a larger problem that tends to make its presence known more during this time of the year than any other. The problem is the persecution complex that American Christians tend to have. I will see post after post on social media about how Christians are being “oppressed” and “persecuted” simply because a store clerk doesn’t wish them a “merry Christmas” or because a secular company doesn’t have “Christmas” decorations up in their stores. Quite frankly, I’ve had it with this mentality so I’m just coming out and saying it: STOP IT! Someone wishing us “happy holidays” is not persecution. We have many examples of real persecution going on throughout the world. We have real suffering going on all over the world. Christians all over the world are losing their lives for their faith and are otherwise discriminated against in a systematic fashion. When you claim that someone not saying the right thing to you after you swipe your credit card for a widget is persecution, you’re marginalizing what real persecution is. 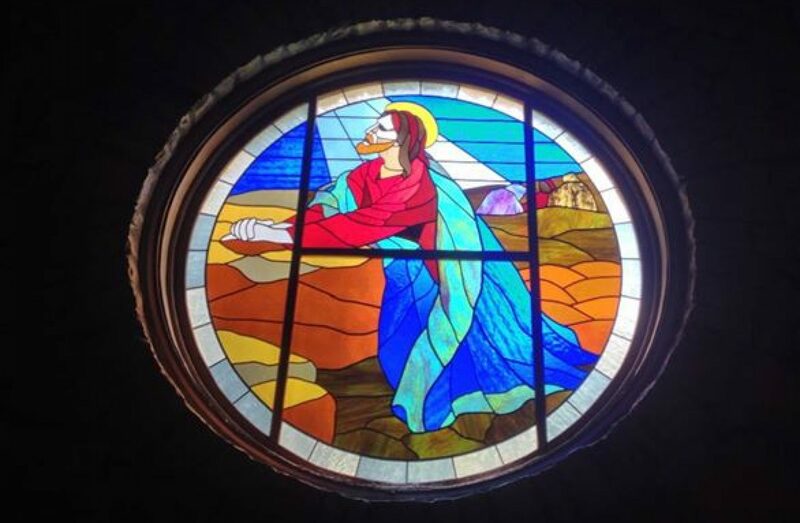 It’s not Christ-like and it needs to stop. 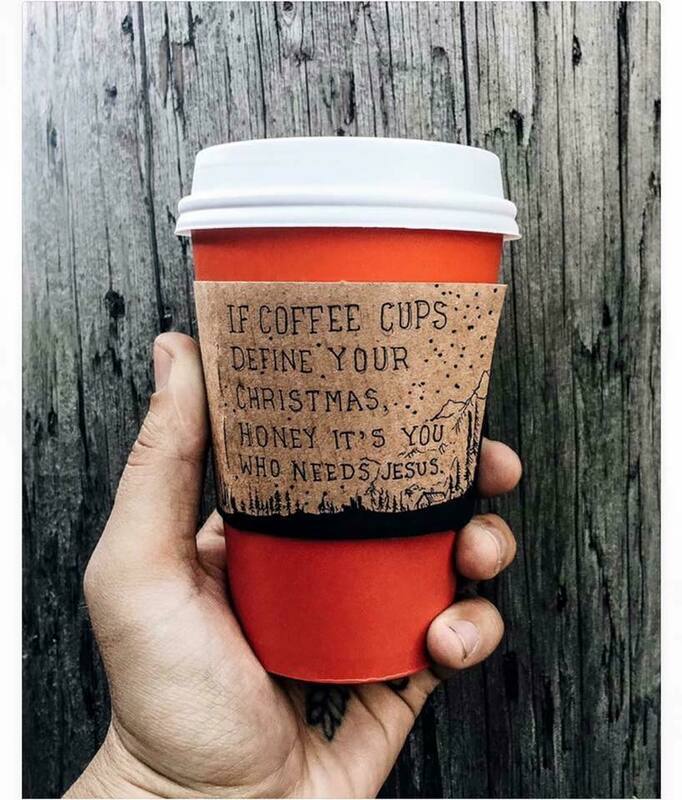 Jesus didn’t come to the world as a baby and eventually die for you to have a latte in a cup that ascribes to your beliefs. 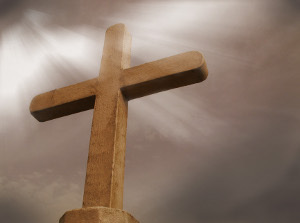 Jesus died so that you may live an eternal life in His presence, healed and restored to God, cleansed from your sins. His teachings dictate to us that we are to be transformed and to go out and tell others so that they may love Him as much as he loves them and us. He teaches us to love our neighbors as much as we love ourselves. If we really want to be upset about some things, I have some suggestions. For example, I live in Powell County, Kentucky which has a poverty rate of almost 30%. Let that sink in. That’s much higher than the national or the state average. Why not be mad about that and take action to help? We have children who would love to be adopted, yet likely will not be and will be turned out on their own with no help once they “age out” of the system. Why don’t we get angry about this? Or, how about we get angry about the fact that domestic violence is often a tolerated sin within Christianity and hardly anyone bats an eye? I know this might be coming across as a little strong but this really fires me up and I just can’t stay quiet about this anymore. The American Christian Persecution Complex has to stop. If it’s going to be changed, we – as in you reading this and I – have to be the ones to start that process. Please, let’s do better. Let us live as redeemed, restored, and Christ-like Christians. To do anything less is a disservice to Jesus.